The premise of the triple aim is to improve the experience of care, improve health of populations, and reduce per capita costs of health care. In 2008 Berwick, Nolan and Wittington articulated the foundations of the triple aim in Health Affairs, a journal that addresses the intersection of health, health care and policy. The premise of the triple aim is to improve the experience of care, improve health of populations, and reduce per capita costs of health care. These gentlemen go on to point out that preconditions of this triple aim includes engaging identified populations and a commitment to enrollment of for all members. Also, there must be an organization (an “integrator) that accepts responsibility for all three aims for that population. Advanced Practice Nurses with a practice doctorate degree may not be considered the organization that is described above, but the aims of the degree parallel and model the triple aim. DNP professional nurses address populations, health, care and indeed cost. 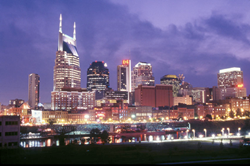 Please join us at the Seventh National Doctors of Nursing Practice Conference, taking place October 8, 9 and 10, 2014 at the Marriott Airport, Nashville, TN. The theme of the triple aim will be demonstrated through 21 breakout session podium presentations and about 150 poster presentations, along with keynote speakers that validate how the DNP prepared professional is impacting health care delivery and outcomes. The Doctors of Nursing Practice, Inc. organization has supported the professional growth and enhancement of those interested in the DNP degree. Target groups include DNP graduates, students and faculty. All stakeholders in the enhancement of health care services to improve outcomes are welcomed to be a part of this process. Visit http://www.DoctorsofNursingPractice.org for more information on services, databases of what DNP graduates are doing, grant and scholarship opportunities, and of course an online community that includes forums, blogs, groups, and a listing of national and international events. We are proud to be a part of the larger process of health care delivery as the DNP prepared nursing professional is an integral part of all health care delivery systems and professional organizations. The DNP prepared advanced practice nurse can be informatics specialists, administrators, and clinicians contributing in large and small businesses and in private practice. These are exciting times to collaborate both within and between disciplines to improve health care outcomes. Join in and see what others are doing as we collaborate and join forces with many groups and organizations to enhance outcomes while helping our discipline mature. Input and contributions in the online community are welcomed.